Think of check guarantee as check insurance. To be perfectly honest, most of our clients have no interest in a check guarantee service - until they get stuck with their first uncollectible bounced check. Credit Card Processing Services, representing nationally respected CrossCheck offers a very reasonable check guarantee program designed specially to protect the small merchant who can least afford to be hit with an unexpected loss. This program is known as a traditional check guarantee service used by hundreds of thousands of merchants nationwide for many years. It is important for retailers to offer checks as a payment option because in many cases this is the preferred payment method by the customer and they simply may not own a credit card or be carrying around the disposable cash to make a purchase from you. In today's economy you never want to allow a prospective buyer to walk away empty handed. Simply call the 24/7/365 live operator toll-free approval line and provide the check information. The phone service representative will provide you with either an approval code or a decline on the check should they be in the negative database. There is no additional cost for using voice approval. You will log onto the Merchant Log-In section of the CrossCheck website and enter your unique Store Number and PIN. An easy to use web form will popup where you will key in the check information and then push submit. In a few seconds the check will either be approved or declined. There is no additional cost for using website lookup. There is a variety of check scanners in the marketplace today. Simply zoop the check through the reader and it will read the MICR code numbers on the bottom of the check. Key in or scan the driver’s license number, state code, state ID number from a chart we provide, and the dollar amount of the check. In less than 10 seconds the check will either be approved or declined. If you don’t already own your own check scanner then CrossCheck will be happy to loan you one for free for as long you are using their program. A. If the check gets approved you will write the customer’s driver’s license number on the face of the check and then deposit the check to your bank as normal. B. If the check is declined you will inform the customer and request a different form of payment. What Happens if the Check Bounces? Even though you received an approval on the check it is still possible that the check could be returned by your bank as NSF because the customer didn’t have the funds available at the time it was deposited. What you will then do is place the check in a pre-addressed envelope and mail it to CrossCheck. As long as you followed the proper authorization procedures when you accepted the check then CrossCheck will pay you the full face value of the check, up to your pre-approved per check limit within 30 days. It is that simple! Stop payments usually take place because of a disagreement regarding service, product or price. CrossCheck will cover stop payments when your customer disputes the quality of the product or service you offer. Your only requirement is that you are as willing to resolve your customer’s disputes as we are. Your customer may need additional time in order to acquire funds to make their desired purchase. Multiple Check allows that time by accepting two to four checks from a single check writer to be deposited over a period of time. Receive the highest approvals available in the industry. The premium approval open approval process allows you to accept virtually everyone’s check. 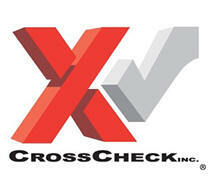 CrossCheck will accept an even greater risk to approve checks so that our customers increase their sales. In fact CrossCheck guarantees 50 percent fewer declines than the competition or they will pay the setup fee for their customers to return to their previous Check Guarantee Company. Details are in the service agreement. Sometimes a purchase cannot be paid in full with cash, check, or credit card. The Partial Payment option gives you the ability to offer combination payments. This will allow your customer to write one check for the difference in the amount they can pay with cash or a credit card. If you are ready to sign up for this excellent program from CrossCheck then please complete the CrossCheck Preapp form below. We will then transfer the information that you provide to the original application paperwork and then email it to you for your signature. For more information please complete the Request Info form, email us at kevin@nobouncedchecks.com or call Kevin direct at 215-489-7878 or toll-free at 800-717-1245. No Bounced Checks for your check service solutions. Div of Credit Card Processing Services, Inc.
No Bounced Checks © 1996-2017.